CVS Health Foundation has partnered with the National Association of Free & Charitable Clinics (NAFC) on a multi-year program of awarding grants to increase access to care, improve health outcomes and lower overall health care costs across the country. One of the 2018 grantees is Health Brigade, a Richmond, Virginia-based clinic that has been providing services to the community for nearly 50 years. Health Brigade patients are typically uninsured or significantly underinsured and do not earn more than 200 percent of the federal poverty level. In 2017, the clinic provided primary care services to more than 1,600 patients over the course of more than 5,700 visits. These included treatment for chronic illnesses, women’s health services, and preventive care. Health Brigade is also committed to aiding marginalized populations, including people of color, LGBTQ individuals, and those who have recently been incarcerated. In 2017, the clinic connected with more than 18,500 individuals in these populations through various outreach activities. As part of Health Brigade’s efforts to treat the “whole person,” the clinic has made efforts to increase the accessibility and quality of mental health services available to low-income patients. At the clinic, mental health and wellness patients have access to individual and group counseling, behavioral health services, smoking cessation services, and various specialty services. 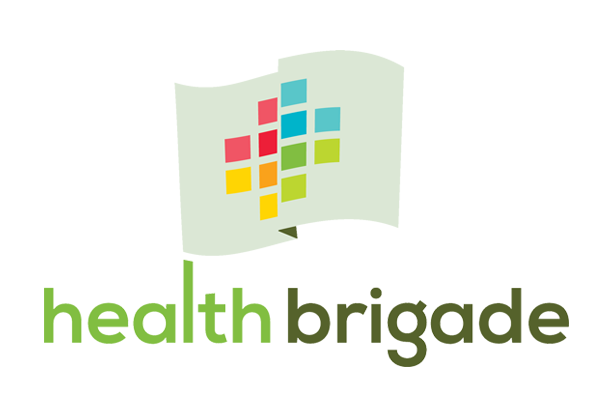 To help balance access to health care and address the realities of poverty, Health Brigade has adopted a patient-centered health-care model for low-income adults, offering access to affordable, comprehensive health services. This model seeks to address the needs of the “whole person.” Primary care patients with both physical and mental health needs are treated by a multi-disciplinary team of primary care, mental health and public health providers who collaborate in real time to deliver care, educate patients and provide support services necessary to improve and maintain health. The CVS Health Foundation grant given to Health Brigade is helping the clinic enhance access to and coordination of care by enabling the hiring of a medical social worker to join the integrated care team. The medical social worker assists patients in navigating health care and social service systems and links patients to crucial resources, such as safe housing, healthy foods, employment and transportation that can significantly influence a patient’s overall health and health behaviors. Hope, a 47-year-old African American woman with three children and one grandchild, arrived at Health Brigade through a referral from a shelter for individuals who have experienced domestic violence, sexual violence or human trafficking. At her initial appointment, Hope was afraid to be in the waiting room, particularly around men, and to disclose information about her past. When the Health Brigade medical social worker met with Hope, she described years of abuse, homelessness, financial insecurity and toxic relationships. Hope hid from the outside world and came out of her home only for health care appointments. Over the course of an initial assessment that lasted more than an hour, it was discovered that Hope did not have access to food, housing, money or her needed prescriptions. The medical social worker provided intensive case management for Hope for more than a year. Hope now receives disability, Medicaid and nutrition assistance. She is in an apartment with her daughter and is able to go out in public without fear. Since receiving Medicaid, Hope was linked to a therapist and a psychiatrist in the community and receives regular ongoing therapy. She no longer has to rely on free clinic services for her health and mental health care. For every patient like Hope who obtains stable services in the community, Health Brigade frees capacity for the many still needing aid.